Online giving accounted for about 2 billion dollars in 2014, and increased 8.9% over 2013. Online giving has increased every single year so far.¹ So how can you take advantage of online donations, and how is the process different from offline donations? They’re really not all that different, but the technology can sometimes be intimidating! Essentially, we need to get people to say “yes” to us. How do you get to the “yes” that involves a checkbook or credit card? Get them to say yes to something small first. Maybe that first “yes” is liking your page on Facebook. Maybe after they’ve been a fan for a few weeks, they’ll sign up to get your email updates. Maybe a little later they’ll sign a petition and share it with friends. Now they’ve said “yes” to you three or four times, and you’ve built a relationship. When you ask for something more, they’re way more likely to give. The first contact you have with someone should NEVER be a solicitation. This is why buying an email list or a mailing list almost never works. People give to people they know and trust. Develop a relationship before you ask. It’s so important to have a donate button or link prominently positioned on your website, and to make it highly visible and in the same location on ALL the pages of your site. Make it easy to see, easy to find, and give it an obvious name, like “Donate” or “Give.” Put a donate button everywhere—on your website, on Facebook, on your Youtube channel. Whenever people feel the urge to donate, you want them to be able to do it right then and there. 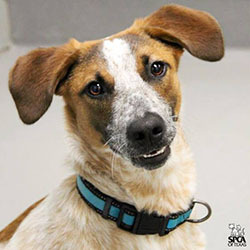 Photo courtesy of the SPCA of Texas. Note the logo in the bottom corner–always brand your photos. Your visuals are the single most important part of any fundraising campaign. If you have a compelling photo of a cute animal, making eye contact with the camera, you’ve instantly made a connection with the donor. Humans are biologically programmed to react positively to faces, particularly of helpless creatures like babies and animals. A well-executed photo or video of an animal in need can open peoples’ wallets more effectively than just about anything you can write. People respond the way you want them to when they feel they know all the facts and have all the information they need to make a decision. Be specific, take the guesswork out of it and you’ve made it a no-brainer for them to donate. You’ve removed all possible objections. Remove objections and eliminate questions and people will donate. We see this all the time with retailers. “Only 3 more hours in this sale” or “Only 2 left at this price!” It works in our industry as well. We all know that if we can, we’ll procrastinate. Hold people accountable by giving them a deadline and a sense of urgency, which is usually completely legitimate. If you have an animal needing surgery, it can’t wait. But what if you’re raising money for a building or a vehicle? Well, lives are still at stake. For every day you don’t have that vehicle, you can’t transport animals from the local shelter to your shelter where they won’t be at risk for euthanasia. If you’re raising money for something large, it helps a lot to break it into smaller sprints or campaigns. That way, people can experience the excitement of meeting a goal or milestone. If you need to raise $40,000, split it into campaigns of $5,000. You’ll get to celebrate 8 times (with one REALLY big celebration at the end!) and people are rewarded by the progress of small victories. Goals are critical for fundraising. If you don’t have a goal, you can’t know that you succeeded—and neither can your supporters. As human beings, we naturally want to associate with winners. Winners meet their goals and deliver results. If you set a goal of raising $1,000 and you do it, you are a winner. People see that you are successful, and that success is a magnet. 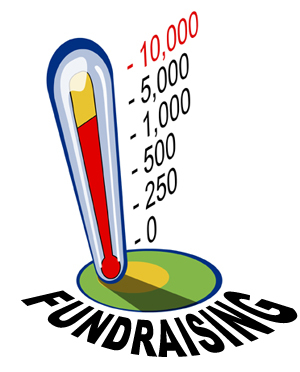 Thermometers or some other kind of progress meter on donation pages are HUGE incentives. If you’re almost to your goal, people want to be part of that success story, so they are more likely to donate. This is why it’s so important to always set a goal you know you can reach. Reaching a goal is amazing for volunteer and staff morale, too. It never hurts to have something to celebrate! This is an opportunity to make another pitch! No one is ever as primed as RIGHT after they’ve given their support, so don’t be afraid to use the thank you email or thank you letter to tell them about your other programs or events coming up. Most social media platforms have the ability to “tag” an individual or company in a post. This gives your donor public recognition, which most donors (particularly businesses) want. Always honor requests for anonymity, but use social media to promote and thank those who support your work. Use these six strategies consistently in your social media fundraising campaigns, and they will be more effective. Above all, be specific, have a goal in mind, and communicate successes back to your donors to demonstrate good stewardship, and you’ll be rewarded with more funds to ultimately save more lives! For more tips, ideas and tutorials than I can ever fit in this article, subscribe to my blog at www.thesocialanimal.com.